Finally, the iPhone 5 has been officially announced. Despite all the talk of "doubling down on secrecy" we knew most of the details beforehand. Now get ready for one more non-surprise as various hands-on impressions start rolling in: the iPhone 5 is a pretty sweet iPhone. The phone itself doesn't feel too much different than the iPhone 4 and 4S; yes, it's a bit taller, but by keeping the width the same, you'll utilize a very familiar grasp to hold it. In typical Apple fashion, even the finest details have been worked over tirelessly. The metal feels downright elegant to the touch, and the same line we've said time and time again applies here: there's no doubting the premium fit and finish when you clutch one of these thing. Yeah, the headphone port's now on the bottom, but avid Galaxy Nexus iPod touch users shouldn't have too much trouble adjusting. In short, it's a beautifully constructed, cohesive combination of design and materials: even if you're not an iOS fan, you'll have to appreciate the package Apple has put together. 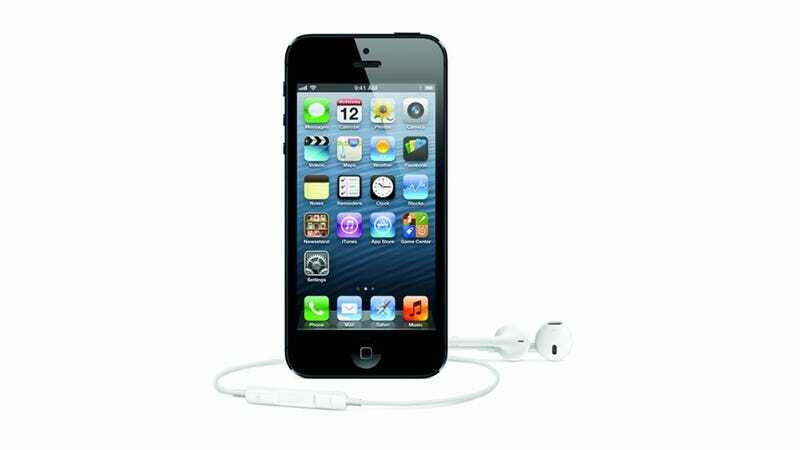 If, though, you are an iOS lover – and there are plenty of them around – then the iPhone 5 is easily the best model yet. It's the significant refresh many were hoping of the iPhone 4S, and it's going to sell like wildfire. The screen is the real draw here and I'm really interested to see how it improves the experience in real-world conditions. Obviously you're getting just a bit more real estate and the Lightning connector allows for far more room for battery and processor. Again, it's far too early to tell right now, but if you're looking for something in the sweet spot between monsters like the Galaxy S III and the arguably bordering-on-too-small (at this point) iPhone 4, this may be a good compromise. Build quality is quite nice and the solid aluminum is quite unique and quite solid. Hopefully this will reduce some damage if it falls on a hard surface. What perhaps is more suprising is just how much snappier this feels than the iPhone 4S. The A6 chip clearly has significant amount more grunt under its smaller hood – but what is surprising is that you can immediately tell when you use the device alongside its predecessor. The 7.6mm, 112-gram chassis is incredibly sleek, and exceptionally light... it feels almost too light in the hand. This isn't just in comparison to the relatively heavy iPhone 4S - sure, the iPhone 5 may not be the thinnest phone out there as Apple claims - but this feels incredibly light against smartphones in general. The iPhone 5 is still a sturdy and solid-feeling device, despite the weight loss. The back is primarily a slab of machined aluminum - as are the sides - but just as we saw in the leaks there are two strips of glass along the top and bottom of the device. These strips feel identical to the glass that drapes over the entire face of the device.